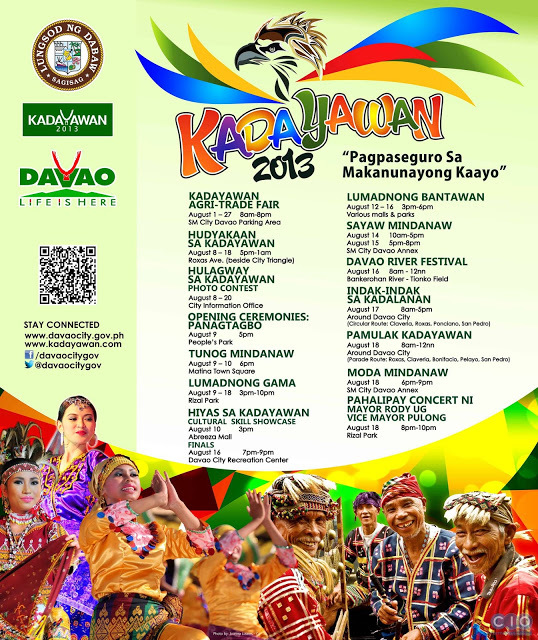 Kadayawan Festival is a week long thanksgiving celebration in Davao. And according to the people in Davao the term "Kadayawan" is derived from the Mandaya word “madayaw”, which means a warm and friendly greeting used to explain a thing that is valuable, superior, beautiful, good, or profitable. Allegedly, long time ago, Davao’s ethnic tribes residing at the foot of Mount Apo would converge during a bountiful harvest. This ritual serves as their thanksgiving to the gods particularly to the “Manama” (the Supreme Being).